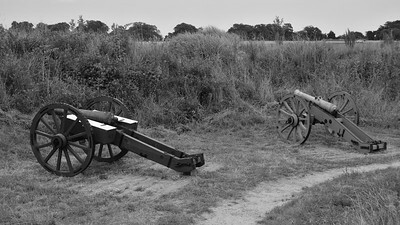 Mortar position on the first allied siege line. 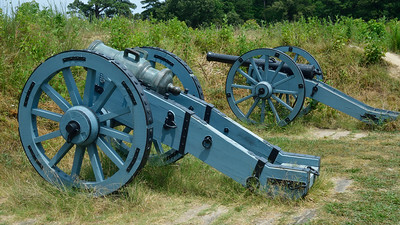 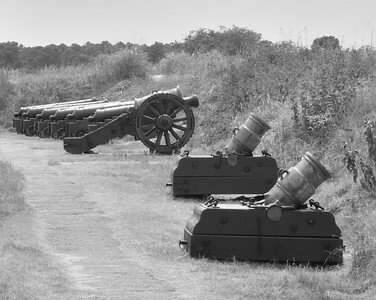 Cannonade on the second allied siege line, adjacent to the Grand French Battery. 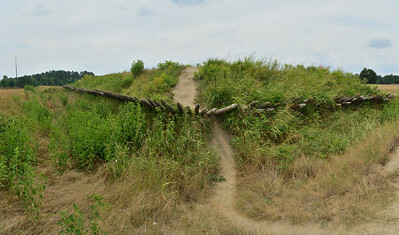 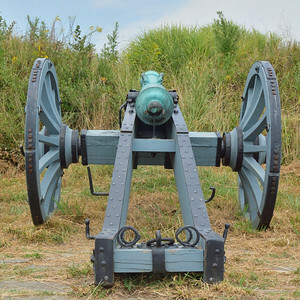 Cannon of the second allied siege line, in view of the inner British defense line. 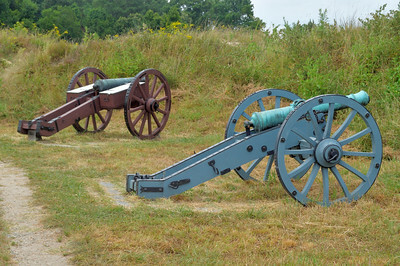 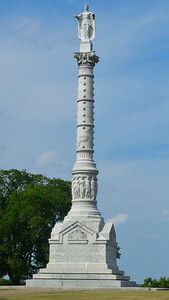 British Redoubt #9 captured by Revolutionary forces during the siege of Yorktown during the Revolutionary War. 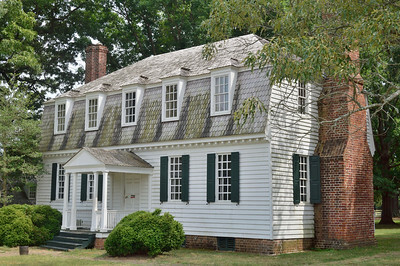 Farm house utilized during the surrender of Yorktown to end the Revolutionary War and to sign the articles of Capitulation. 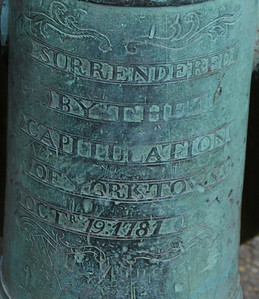 Interior parlor room used to sign the articles of capitulation with British forces. 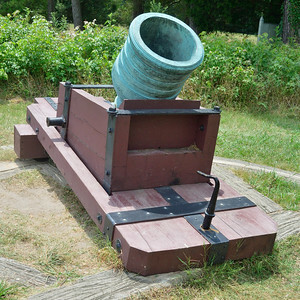 Captured British cannon during the surrender of Yorktown during the American Revolutionary War. 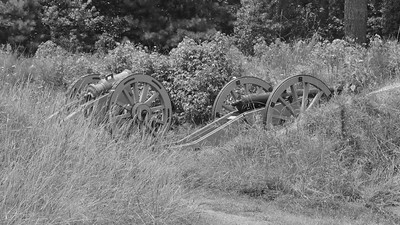 Surrender Field where British forces laid their arms after the signing of the articles of capitulation, after the siege of Yorktown.